Small, light, silver tone heart earrings...for everyday use! 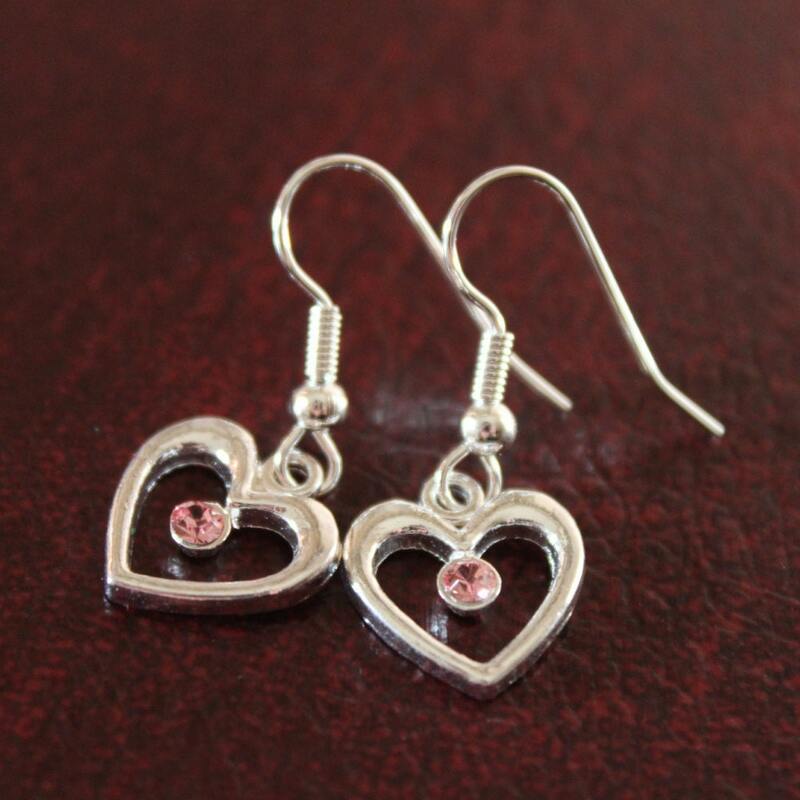 Say "I Love You" simply, with these easy and comfortable to wear heart earrings! 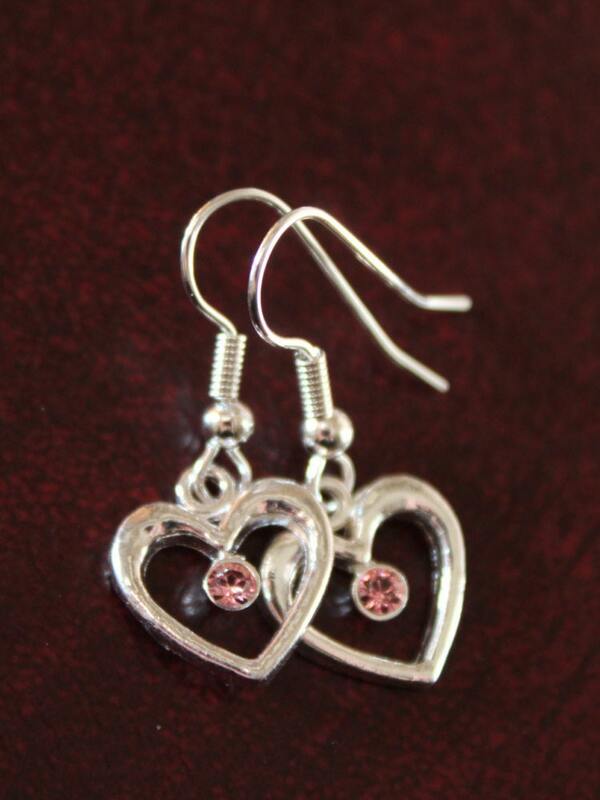 The hearts used are over 1cm wide, and the entire earring is 3cm long. The pink crystal that hangs in the center of the heart is a genuine Swarovski Crystal element. Will give as a gift.